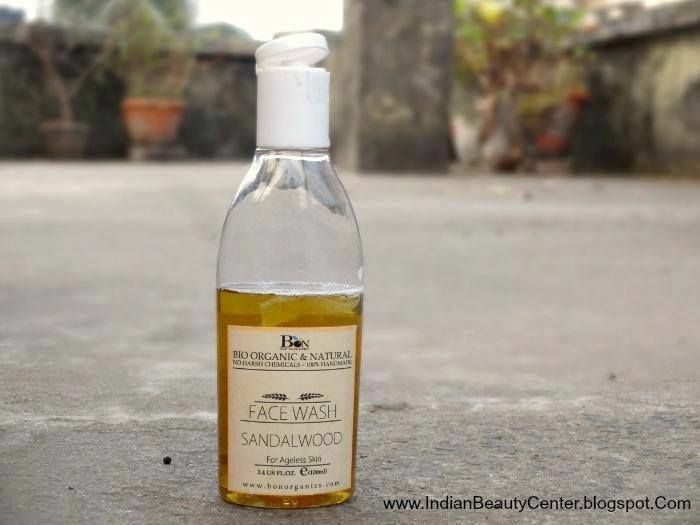 Product Information : This organic cleanser enriched with the goodness of sandalwood is a rich face wash. 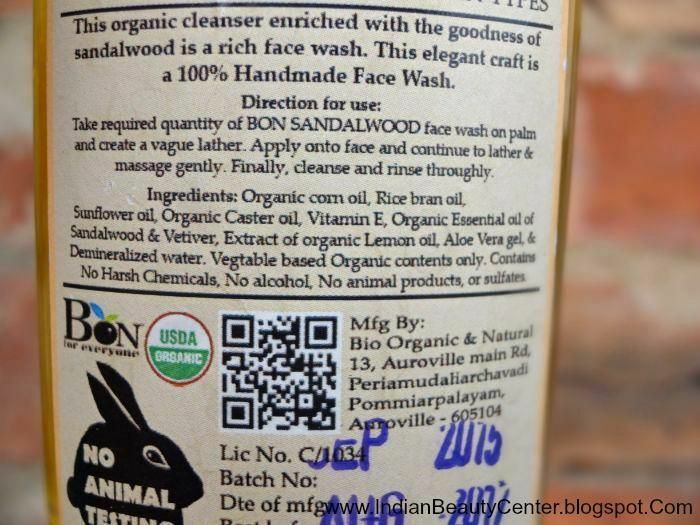 This elegant craft is a 100% Handmade Face Wash. 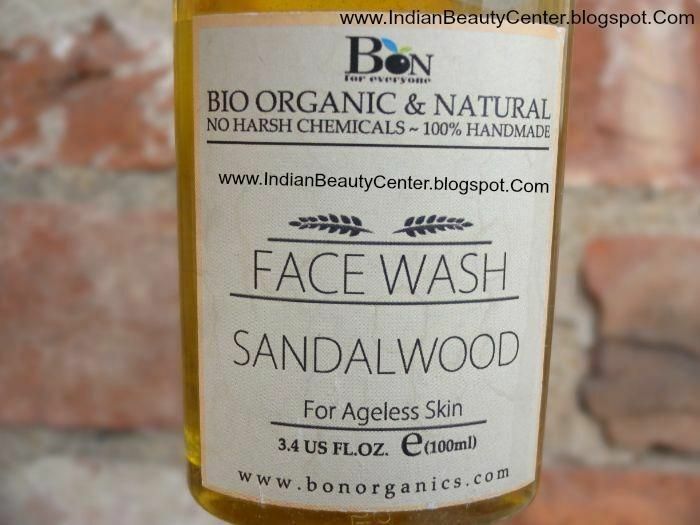 Directions for use : Take required quantity of Bio Organic & Natural Sandalwood face wash on palm and create a vague lather. Apply onto face and continue to lather & massage gently. Finally, cleanse and rinse thoroughly. Ingredients : Saponified Organic corn oil, Rice bran oil, Sunflower oil, Organic Caster oil, Vitamin E, Organic Essential oil of Sandalwood & Vetiver, Extract of organic Lemon oil, Aloe Vera gel, & Demineralised water. Vegetable based Organic contents only. Contains No Harsh Chemicals, No alcohol, No animal products, or sulphates. Shelf Life : 23 months from date of Mfg. It comes in a transparent bottle with white cap. The packaging is not fancy and it's very simple. The flip-open cap is a bit flimsy and mine broke a bit but I can always pour it out by opening the bottle from it's screw open region. But why judge the book by its cover? Organic products are the new trend now and everyone is trying and reaping the benefits of all organic products. I have myself used a lot of organic products and I keep trying new facial cleansers as I tend to get bored easily. 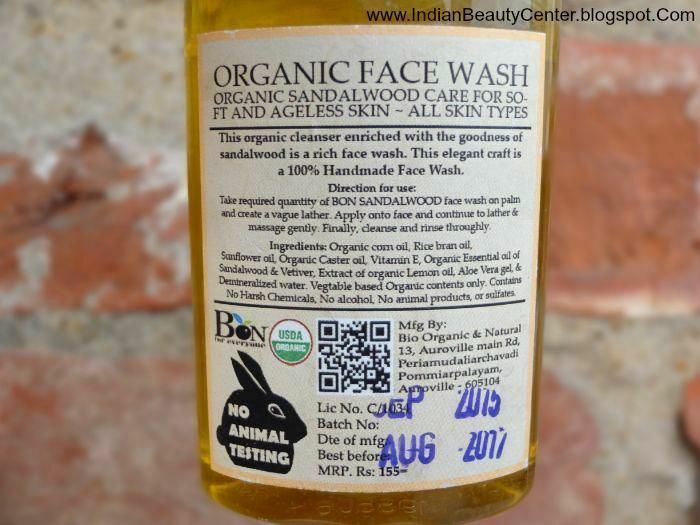 This face wash is very watery in nature, so may lead to product wastage. You only need a little amount of the face wash and that does the job. 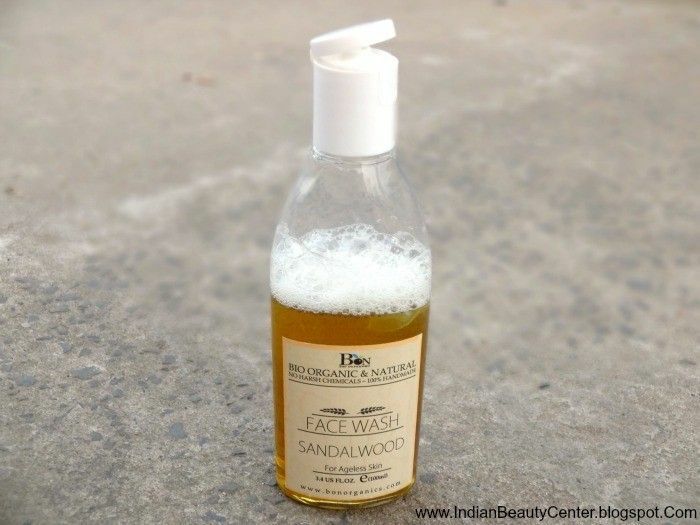 The yellow sandalwood face wash has authentic sandalwood fragrance and I completely respect that. It lathers up really well and I did not find any major acne causing ingredients in this one. So, I use it whenever I want and need refreshment. I have other face washes in my routine too and so, I use this for once every two days refreshment. Or I use this whenever I feel like experiencing soapy sandalwood fragrance. I'm sure all of us have smelled something like this in our childhood before. It cleanses the skin really well and it did not break me out at all. Removes all oil from the skin and is a boon for oily skin. But, dry skinned beauties should use heavy moisturizer afterwards. During winters, it will be a bit drying but nothing a moisturizer can't fix. So, overall, if you're into organic and natural products, then go grab this one. Does its job nicely and is a very simple homemade face wash. Final verdict : I would say that you should get this one if you love using sandalwood products or are fond or organic skin care products. I like this one as it does not contain too many chemicals, is organic and a very simple facial cleanser. Nothing too fancy about it. But, it does its work of cleansing the skin well and I like to use it whenever I feel like! And Oh! 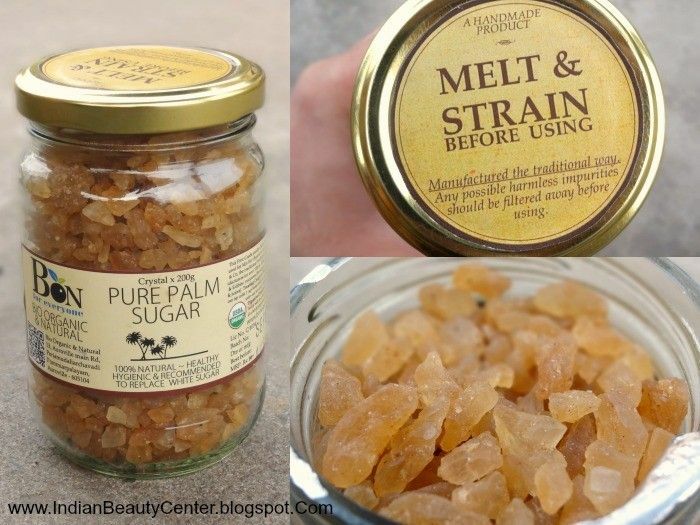 How can I forget to mention, they have Bio Organic and Natural Pure Palm Sugar (Melt and Strain) too and it's really good!